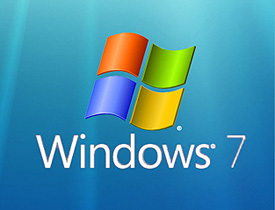 Windows 7 contains a suite of powerful Administrative Tools that are useful to System Administrators and advanced users. Previous versions of Windows had a direct link to these Administrative tools right on the Start menu, but Windows 7 has them hidden from view by default. These tools are easily found if you know where to look (most people don’t) or by simply searching for them by name via the Search box, but I prefer having them linked from the Start menu as they had been in the past. There are times when it would be nice to be able to fire up your favorite web browser and continue browsing the site(s) you were browsing the last time the browser was open. For example, perhaps you accidentally closed your web browser before you finished everything that you wanted to do on the web. Or maybe a storm rolled in and you had to shut down and unplug your computer in a hurry in order to protect it from a potential lightning strike. It seems like every version of Windows is a little easier to install than the one before it, and Windows 8 is no exception thanks to Microsoft’s nifty Windows 8 Upgrade Tool. Have you ever tried to delete a file only to have Windows respond that the file cannot be deleted because it is in use by one of your programs, but there are no programs running? This is one of Microsoft Windows’ most irritating annoyances, and it happens all too often.